Dimples Wig design gives you the maximum breath ability and comfort available. They are created with a light-weight feather cap. At Boston North Shore Wigs Salon we know the Dimples wigs collection is known for creating high-quality, medical grade wigs with innovative hair products for those suffering from many levels of hair loss which is why we offer it. There is no doubt that Dimples Wigs for women, have a very natural look that is comfortable to wear. Many of the designs are created using a lace front and advanced wig caps that offer an invisible hairline. Dimples Human Hair Wigs for Women has revolutionized the wig industry. The Dimples collection has been researched, designed and developed with the help of hair loss studies, nurses, and specialist who have been able to give incredible input and feedback on the collection. 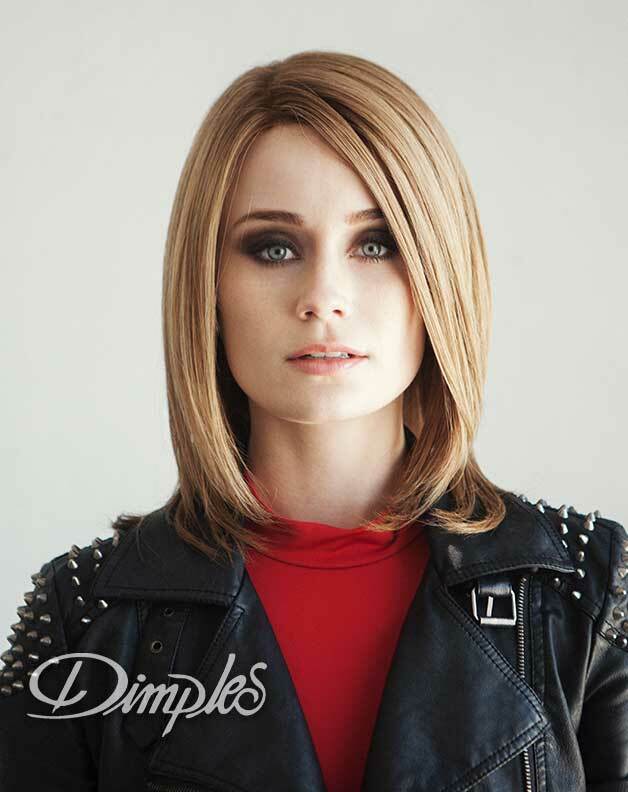 Dimples Wigs are focused on providing the highest quality of comfort for the wearer. 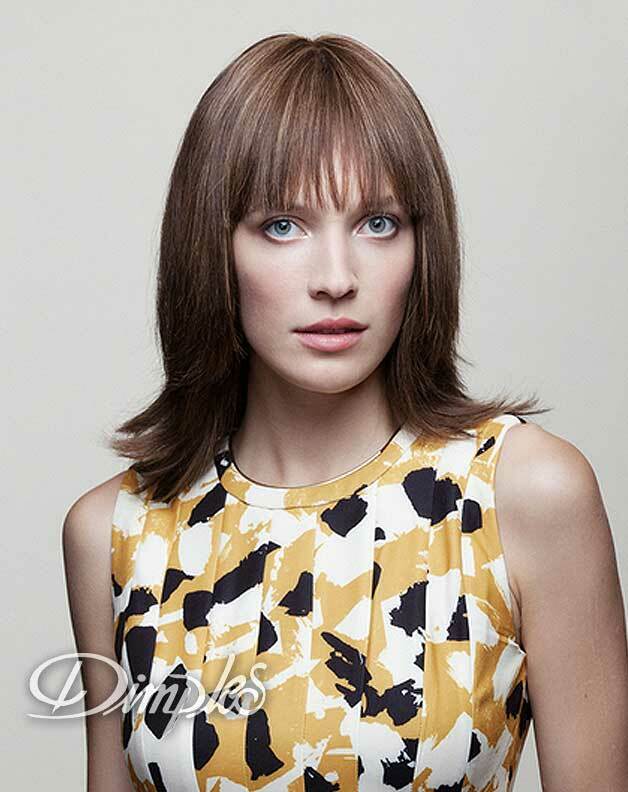 All of the Dimples Wigs offer a natural appearance that can be worn all day and into the evening. 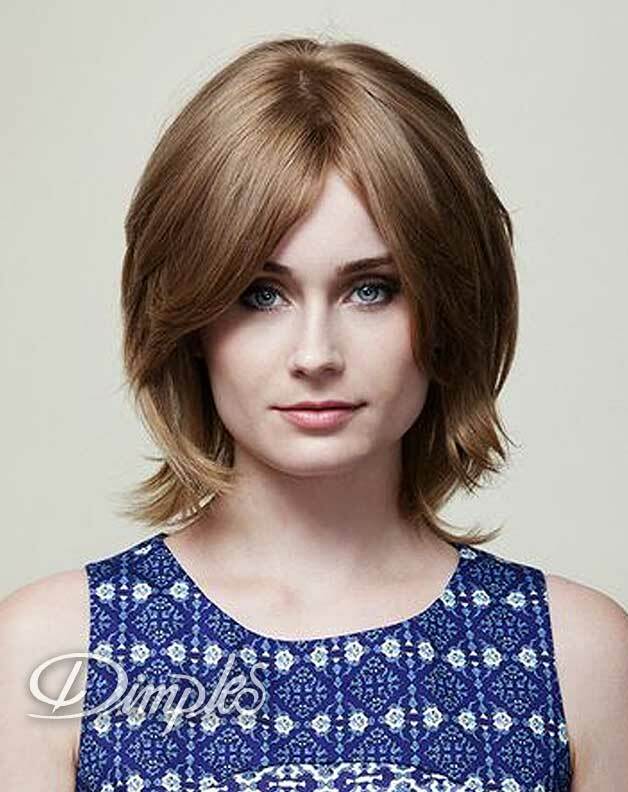 Dimples Wigs for Women are made with carefully sewn human hairs on to an ultra-thin monofilament top cap to give the wearer a natural looking part by exposing the scalp through the texture of layers. Because Dimples wigs are constructed with the use of a lace front, they create a hairline that looks just like real hair. This is the perfect option for anyone that is looking to style their hair in an up-do for a night out. I really can’t tell you how much my new wig looks exactly like my hair did before it started to fallout. It has been a great confidence booster; I’m feeling like a woman again. I would like to say how wonderful everyone at the hair studio has been for helping me. Your service is first class. I’m really so happy I found you.